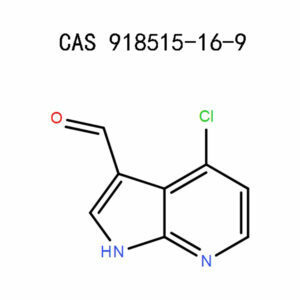 1,3-Dimethyl-2-(α-hydroxybenzyl)benzimidazolium iodide (3a) was synthesized from 1-methylbenzimidazole (10) through two steps involving lithiation and quaternization. Treatment of 3a with 4-chloro-1-phenyl-1H-pyrazolo[3,4-d]pyrimidine (6) afforded 4-benzoyl-1-phenyl-1H-pyrazolo[3,4-d]pyrimidine (15a). 4-Benzoylquinazoline (14a) and 7-benzoyl-3-phenyl-3H-1,2,3-triazolo[4,5-d]pyrimidine (16a) were given by reaction of 3a with 4-chloroquinazoline (5) and 7-chloro-3-phenyl-3H-1,2,3-triazolo[4,5-d]pyrimidine (7). Treatment of 3a with benzaldehyde (9a) gave benzoin (8a). Similar results were obtained in the reactions of 1,3-dimethyl-2-(α-hydroxybenzyl)imidazolium iodide (4a). ♦ Harmful in contact with skin. ♦ Wash hands thoroughly after handling. ♦Wear protective gloves/protective clothing/eye protection/face protection. ♦IF SWALLOWED: Call a POISON CENTER or doctor/physician if you feel unwell. ♦IF IN EYES: Rinse cautiously with water for several minutes. Remove contact lenses, if present and easy to do. Continue rinsing. Treatment of 3a with 4-chloro-1-phenyl-1H-pyrazolo[3,4-d]pyrimidine (6) afforded 4-benzoyl-1-phenyl-1H-pyrazolo[3,4-d]pyrimidine (15a). 4-Benzoylquinazoline (14a) and 7-benzoyl-3-phenyl-3H-1,2,3-triazolo[4,5-d]pyrimidine (16a) were given by reaction of 3a with 4-chloroquinazoline (5) and 7-chloro-3-phenyl-3H-1,2,3-triazolo[4,5-d]pyrimidine (7). Phase-transfer glycosylation of 4-chloro-1H-pyrazolo<3,4-d>pyrimidine (1) with 2-deoxy-3,5-di-O-(p-toluoyl)-α-D-erythro-pentofuranosyl chloride (2) yielded the N-1 glycosylation product (3) in 42 percent.The protected intermediate (3) was converted into pyrazolo<3,4-d>pyrimidine 2′-deoxyribofuranosides with amino, oxo, and thioxo substituents at C-4.Kinetic data of proton-catalysed hydrolysis showed that pyrazolo<3,4-d>pyrimidine 2′-deoxyribofuranosides are more stable at the N-glycosylic bond than are the parent purine nucleosides. 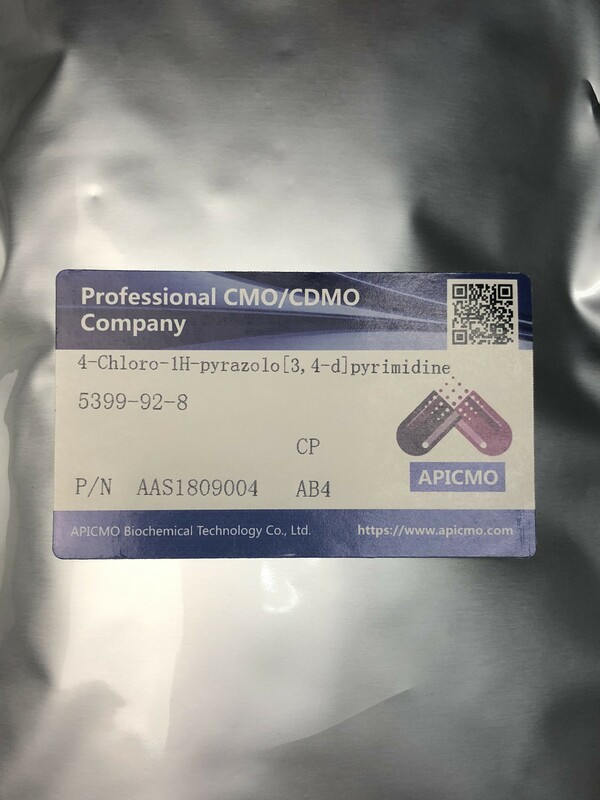 We manufacture several chemical products at APICMO which include 4-Chloro-1H-pyrazolo[3,4-d]pyrimidine (5399-92-8). We synthesize chemical products in both large and small quantities in compliance with the CGMP quality control system. 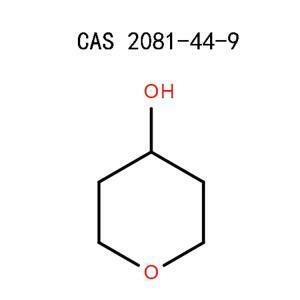 Below is the chemical structure of the product. This product is intended for research, production, and development of chemicals. 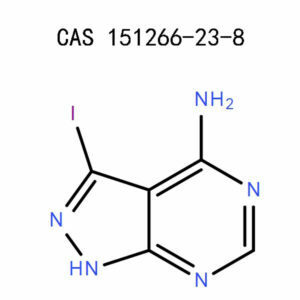 It belongs to the categories of inhibitors, heterocycles, nucleotides, bases, halides, and the related reagents. At 760mmHg, 4-Chloro-1H-pyrazolo[3,4-d]pyrimidine (5399-92-8) has a boiling point of temperatures above 348˚C. Beyond 350˚C, this product melts. 4-Chloro-1H-pyrazolo[3,4-d]pyrimidine is a pale yellow solid. The product is soluble in dimethyl sulfoxide (DMSO) and methanol. When dealing with 4-Chloro-1H-pyrazolo[3,4-d]pyrimidine, it is important to be extremely cautious. The chemical is hazardous and may cause severe health complications. At least, it should be handled under the supervision of a professional. You should wear proper protective equipment when working with 4-Chloro-1H-pyrazolo[3,4-d]pyrimidine to minimize possible accidents.For face and respiratory protection, put on a mask and respirator with air-purifying filters to get rid of air contaminants. You should also cover the skin by wearing appropriate imperviousgloves, footwear, and safety goggles. These emergency precautions are by no means a substitute for medical attention but rather a way of neutralizing the health effects of the chemical in the body. Before you start dealing with 4-Chloro-1H-pyrazolo[3,4-d]pyrimidine (5399-92-8), make sure your working laboratory has a safety shower and is well-ventilated. This is the most critical state that requires immediate medical care. The victim should rinse the mouth thoroughly. Rather than inducing vomiting, it is ideal to drink copious amount of water. Use some cold running water and mild soap to wash the spot for about 15 minutes. Seek medical attention if the skin reaction becomes severe. Rinse the eyes thoroughly with enough cold runningwater for about 15 minutes. If you have contact lenses, you should remove them before washing the affected eye. If the irritation persists, seek medical attention. Move to an open area with fresh air. If the victim experiences difficulties in breathing, seek further medical attention. Wear protective equipment as per the occupational safety standards. In case of a fire outbreak, use dry chemical powder, carbon dioxide, polymer foam, or alcohol to quench it. Always wear protective clothing during the operation to prevent the toxic combustion products from gaining contact with your respiratory tract, eyes, or skin. In case 4-Chloro-1H-pyrazolo[3,4-d]pyrimidine accidentally spills, you should clear it up immediately. When in a solid state, scoop it up or use an absorbent material to absorb any liquid spillages and drop the residues into a closed container. Remember to wear protective clothing, wash the spot, ventilate it, and follow the right procedure for getting rid of this chemical waste. Observe the local and federal regulations when eradicating 4-Chloro-1H-pyrazolo[3,4-d]pyrimidine (5399-92-8). One way of eliminating this chemical is by dissolving it in a flammable solvent before burning it in a regulated chemical incinerator. It is quite safe to ship and transport 4-Chloro-1H-pyrazolo[3,4-d]pyrimidine by ground or air. 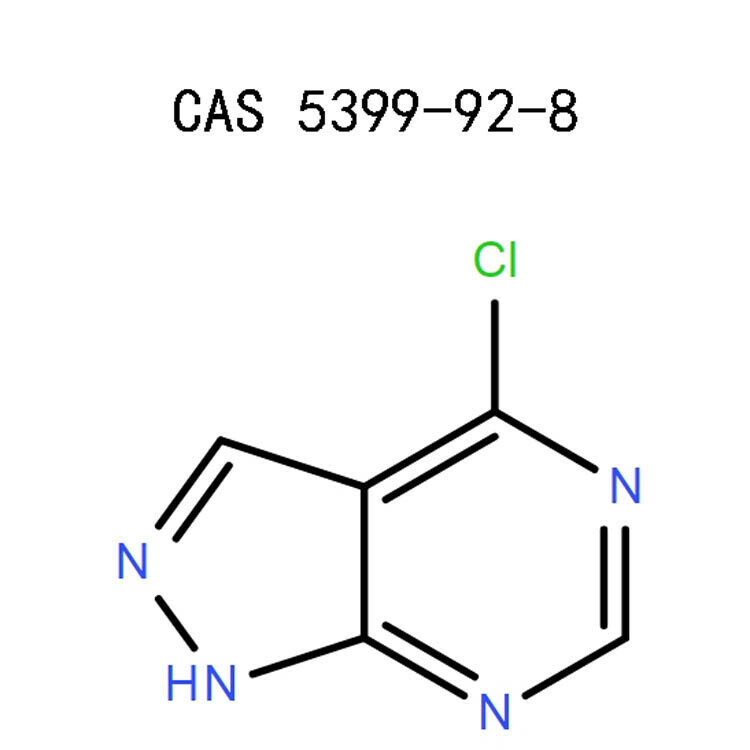 4-Chloro-1H-pyrazolo[3,4-d]pyrimidine (5399-92-8) abides by the federal, state and local laws. 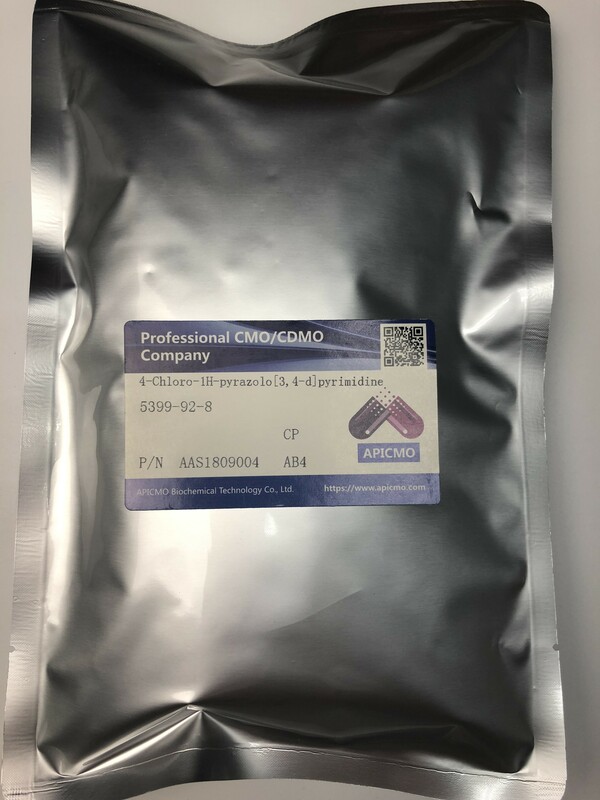 Whether you require small or larger quantities for your research, development, and manufacturing applications, Apicmo.com have got your back. Just contact our customer service team and we will provide you with exactly what you want. Pub Chem NCBI. 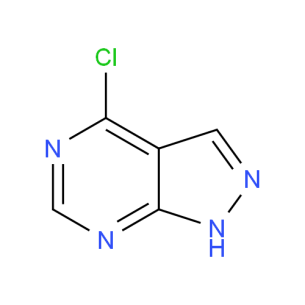 National Library of Medicine, 4-Chloro-1H-pyrazolo[3,4-d]pyrimidine section of Computed Properties. Molecular Medical Parasitology, Edited by J. Jose, Author: Joseph Marr | Richard W. Komuniecki/ Tim W. Nilsen, Nicola S. Carter, Nicolle Rager and Buddy Ullman , Purine and pyrimidine transport and metabolism, page 10-12. Erik L. Hewlett, M.D. Professor of Medicine and Pharmacology University of Virginia School of Medicine , School of Medicine University of Virginia Charlottesville, page 50-80.